Where to find North Kawartha hotels near an airport? 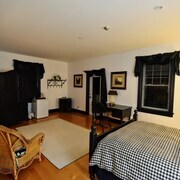 Where can I find hotels in North Kawartha that are near tourist attractions? North Kawartha has only one Expedia-registered hotel so, if you plan to stay close by be sure to make your reservations early. The Viamede Resort, Ontario, which is the closest accommodation, sits 8 kilometres (5 miles) from downtown North Kawartha. 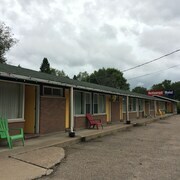 Another handy option is the The Village Inn, which is in Ontario, which is 25 kilometres (17 miles) from downtown North Kawartha. Two Expedia-listed hotel establishments worth looking into include the Apsley Inn & Restaurant and the Westwind Inn on the Lake. The Apsley Inn & Restaurant is located 14 kilometres (9 miles) away from the middle of North Kawartha. 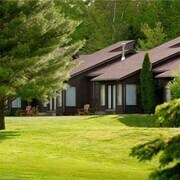 The Westwind Inn on the Lake is positioned 20 kilometres (13 miles) away. 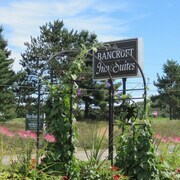 The Beachwood Resort is one more option for accommodation. It's situated 18 kilometres (11 miles) from North Kawartha's center. Like to travel a bit further afield? Southern Ontario has a number of attractions. Spend time at Southern Ontario's traditional villages, churches and art museums. Those who love nature could also take the time to to admire the region's beaches, coastal plains, forests and lakes. In this section of Canada tourists can also partake in skiing and cross-country skiing. Cobourg is 75 kilometres (46 miles) to the south of North Kawartha and is home to the Northumberland Mall and Victoria Hall. 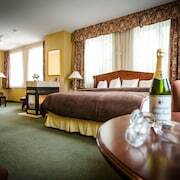 If you'd like to spend a few nights in Cobourg, check Expedia's booking pages for the latest deals at the The Woodlawn Inn and Best Western Plus Cobourg Inn & Convention Centre. 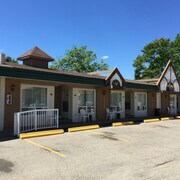 Or stay in Lindsay, 60 kilometres (39 miles) to the southwest of North Kawartha, where you can choose from the Admiral Inn & Conference Centre and Howard Johnson Lindsay. The Ken Reid Conservation Area and Academy Theatre are some of the most popular sites to see while in Lindsay. Get your sports fix by making a trip to Yardmen Arena, which is 75 kilometres (45 miles) to the southeast of North Kawartha. If you are keen on booking accommodation nearby, make a reservation in the Fairfield Inn & Suites by Marriott Belleville or Best Western Belleville. Norman Rogers Airport is a practical airport, and is located 130 kilometres (78 miles) away from North Kawartha. 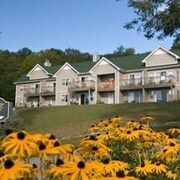 Conveniently located hotel options are Travelodge Kingston LaSalle Hotel and Bayside Inn & Waterfront Suites. What are the most popular North Kawartha hotels? 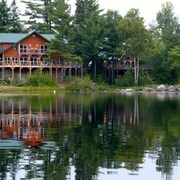 Are there hotels in other cities near North Kawartha? 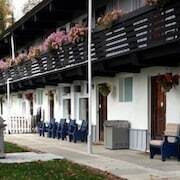 What other types of accommodations are available in North Kawartha? Explore North Kawartha with Expedia.ca’s Travel Guides to find the best flights, cars, holiday packages and more!